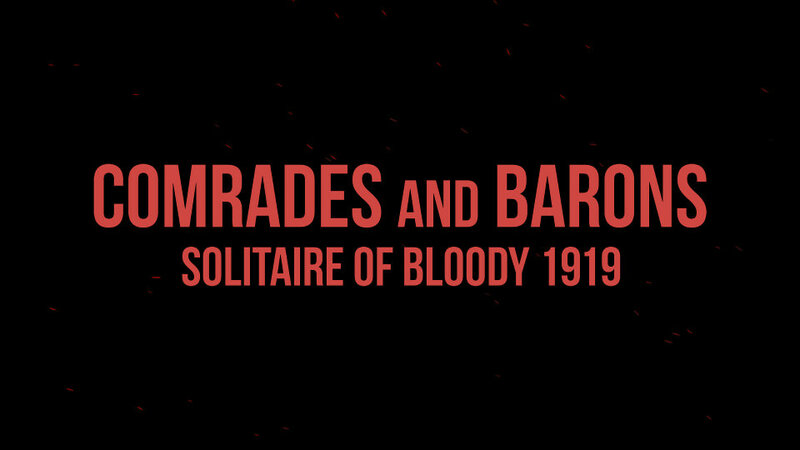 Comrades and Barons: Solitaire of Bloody 1919 is a historical strategic solitaire card game. Games plot revolves around 1918-1919 Red Army offensive to the West with a goal to ignite Europe-wide proletarian uprising that should start from Germany. This offensive could change the World history forever. There has not been an update for some time, so here is one. 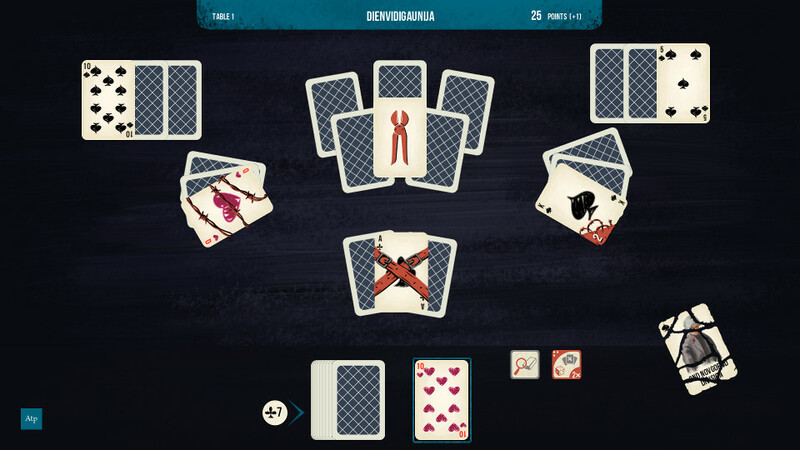 Comrades and Barons might be a solitaire, but it still needs a way of changing settings. Before the game there is a shortened options window, that i.e. lets to turn the fullscreen option off beforehand. Ingame setting window has additional fields, like Vertical synchronization or card nomenclatures. 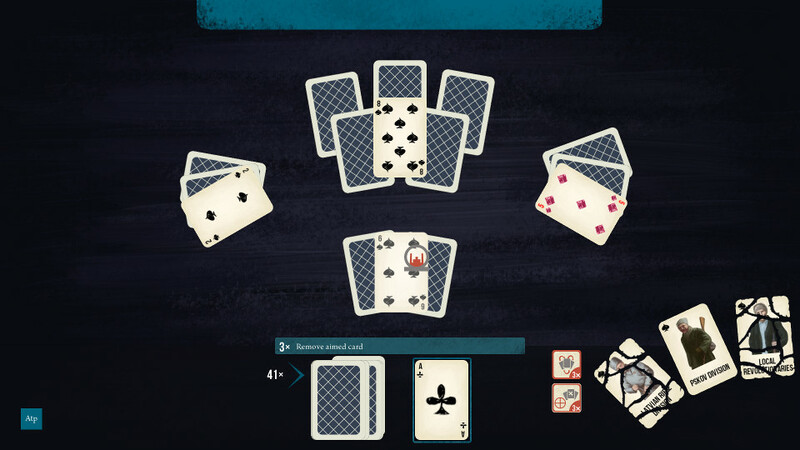 Player now has access to Actions, that allow to influence cards on the table in addition to usual rules. Before every table the player can choose to buy up to three units from the army they play for. Every unit has a passive effect and an active effect. Passive effects trigger at the start of the game or has effect constantly; actives has to be made accessible by tearing up a card. Active actions have limited uses and they allow the player to kill an aimed card, kill several random cards, shuffle cards on the table etc. Additional difficulty in solitaire games is created by elements that I will call "obstacles". These obstacles make the game less linear. There are three types of obstacles: barbed wire, that blocks a card - can be removed with a wire cutter; reinforced card - it has to be removed twice; fortified card - it tries to pull another open card in its space for set nubmer of times. The obstacles currently are put in the first levels, the player will find them more gradualy in final version. 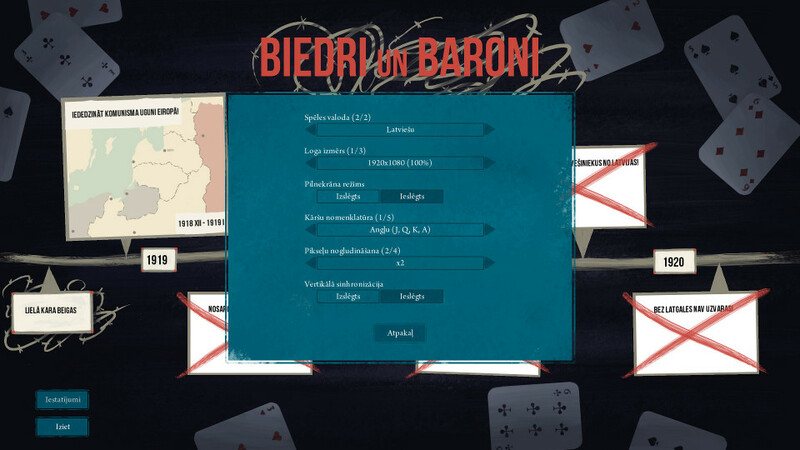 Comrades and Barons: Solitaire of Bloody 1919 is partly finished. All mechanical parts of the game are done, also the first, Red Army's, scenario. To finish the game, I have to fill other five scenarios with content. That will be it! Comrades and Barons: Solitaire of Bloody 1919 now has a Steam page!